New technologies pose new challenges for the music score: interactive music, new instruments, mixed medias, purely gesture based performances, are among the domains explored by the contemporary creation that overflow the classical frame of the music notation. 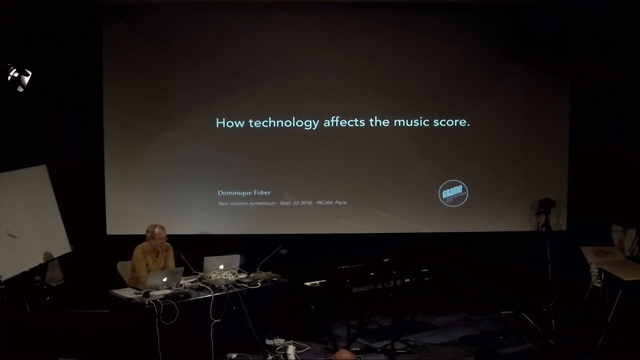 On another other side, new systems for music notation and representation are emerging, adressing these challenges, proposing also new ways to represent the music, exploiting the specific dimensions of digital scores. Dynamicity, interactivity are part of the new dimensions of the music score that lead to new musical forms. I will present and discuss these issues and how they are addressed in my current research.